Taliban radicals have reportedly beheaded 17 civilians, including 2 women, in Southern Afghanistan. Local authorities say the dead were executed for attending a party where unrelated men and women were present. ­The attack happened during a celebration near the Musa Qala district, about 75km north of the capital of Helmand province, Lashkar Gah, said district governor Nimatullah. The Taliban holds control over large swathes of Helmand, while the central government has no grasp over it at all. The party involved music and men and women dancing together, of which Taliban fighters reportedly harshly disapprove. 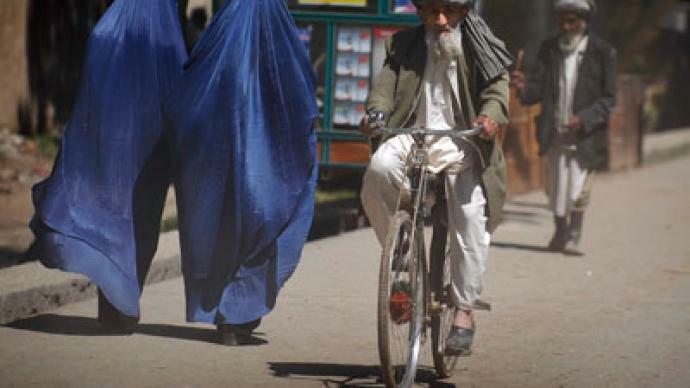 Generally, in Afghanistan, women and men do not socialize together unless they are related. Villager Mohammad Gul told Reuters that outraged members of the women's families accompanies the Taliban militants.The partygoers attempted to resist the fighters, but the Taliban immediately called for backup. Other officials have offered different explanations for the slaughter. 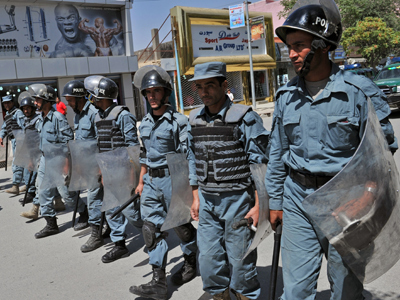 Helmand police spokesman Farid Ahmad Farhang said the villagers may have been executed for being government spies. Meanwhile, Helmand government spokesman Daoud Ahmadi said shots were fired after a stand-off between two local warlords. "There are two Taliban commanders, Mullah Wali Mohammad and Mullah Sayed Gul, that control the area, but they argued about two women [at the gathering]." The women are among the dead. "Their throats were slit, but their heads were not completely cut off," added Ahmadi. The Taliban have denied involvement. The number of civilian killings has soared in the last few months in Afghanistan, a local tribal leader told Al-Arabiya. “We had three people beheaded during the month of Ramadan. Another person, the son of a tribal elder, was beheaded recently,” Haji Musa Khan said. The massacre comes in the wake of the recent statement of Taliban top commander Mullah Mohammad Omar, who urged the militant network to avoid civilian deaths in the violence-torn country – a step regarded by many as an attempt to boost the network’s popularity among the population. 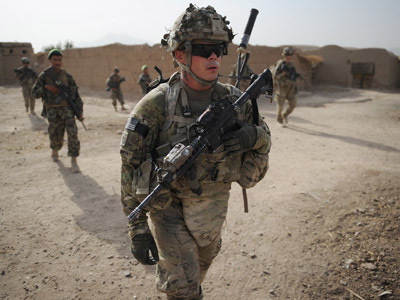 News of the bloodbath in the country’s south comes against the backdrop of a “green-on-blue” attack in the country’s east, with an Afghan soldier gunning down two NATO officers. 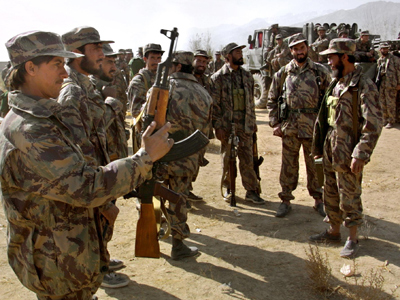 The killed coalition troops were reportedly instructors training Afghan security forces. The assault has been confirmed by ISAF officials. Rogue killings of US-led international forces have spiked in 2012, leaving 42 people dead in dozens of assaults so far and prompting NATO to boost security. The measures include a demand issued for all international troops to carry loaded weapons at all times. The Afghan government has also reacted to the increase in the killings of foreign troops: last week, the leadership pledged to re-examine the files of over 350,000 policemen and soldiers to find infiltrators the Taliban claims it has in the Afghan security forces. On the whole, violence has soared in the region recently. A swathe of suicide bombings left 63 people dead and almost 150 wounded in a string of attacks just over a week ago. 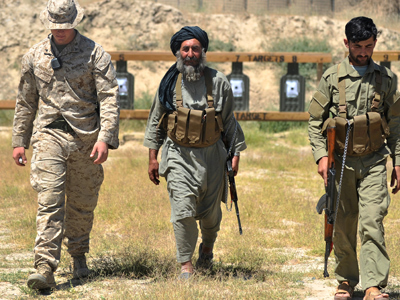 Some have predicted the Taliban could take power in the country when NATO leaves the country in 2014. But former MP Daoud Sultanzoy says that is not necessarily their aim. “The Taliban do not want to take control. What they want to do is disrupt and demoralize, and debilitate the government’s capabilities. And then they have reached their goal – they do not have a vision beyond that,” he told RT.